Do you remember sitting around in the dark after dinner at your grandparents’ place, watching old family movies and looking through photos? We’ve launched a new and improved fullscreen slideshow on Flickr, designed and rebuilt from the ground up to help you sit back and watch the world go by. A slideshow is available from just about every page where you see a group of photos on Flickr: photostream pages, sets, tag pages, group pools and search results. Just look for the slideshow icon. One of the main improvements we’ve made is that you can watch videos as they appear in a slideshow. When we come to a video in a slideshow, we’ll play it before we move on to the next item. You can also embed a slideshow on another website in bite-sized form. 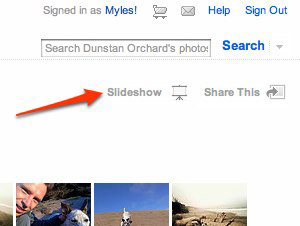 Just click the “Share” link from any slideshow, then copy and paste the embed code wherever you want. Lastly, you can embiggen a slideshow! 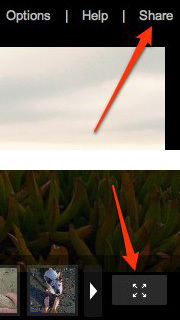 Click the full size icon on the bottom right of any slideshow to have it take over your screen. Rarrrrrrr! So, dim the lights and give it a shot. As always, if you encounter bugs/issues or have feedback, head over to the Help Forum. Photos from ::reflecting truth::, anja mulder, birdyboo, emdot, and andrewyang.